Republican Governor Larry Hogan won a second term in the heavily Democratic-leaning state of Maryland. He was only the second Republican ever to do so. This year’s governor race was a battle between current Republican Governor Larry Hogan and former NAACP president and Democrat Ben Jealous. Hogan defeated Jealous handily to become the second Republican governor to be re-elected in Maryland. Hogan ran for his second campaign for governor and was the favorite in the heavily Democratic-leaning state. Hogan was leading Jealous by 20 points a month before election day, according to an early October poll by the University of Maryland College Park and the Washington Post. Even though Democrats outnumber Republicans in Maryland, Hogan continues to have high approval ratings. A Sept. 16 Goucher University poll had 69 percent of Marylanders approving of the way Hogan is handling his job. Hogan has already committed $25 billion to K-12 education over the past four years—$450 million more than the previous Democratic administration of former Governor Martin O’Malley. He has also committed $7 billion to higher education, limiting the tuition growth rate to two percent to keep student debt as low as possible, according to Hogans’ website. While Hogan has made commitments to education, Jealous said he is not satisfied with the state’s current standards. Before Hogan was governor, Maryland public schools were ranked first in the country for five years in a row. During Hogan’s tenure, Maryland has dropped to sixth. If Jealous were to be elected, he planned to increase teacher salaries by 29 percent and fund full-day preschool, legalize marijuana and use the tax revenue to fund these education projects, according to Jealous’ website. Hogan defeated Jealous by 13.4 points, according to a Nov. 6 New York Times article. After three terms, Isiah “Ike” Leggett will be stepping down from his position as Montgomery County Executive. Leggett has served as county executive since 2006, and was the first African American to hold the position. As county executive, Leggett faced numerous pressing issues, but always managed to maintain the focus on education, provide the necessary resources and give the school system what it needs and deserves in order to be responsive. That’s the central role of the county executive, Leggett said. 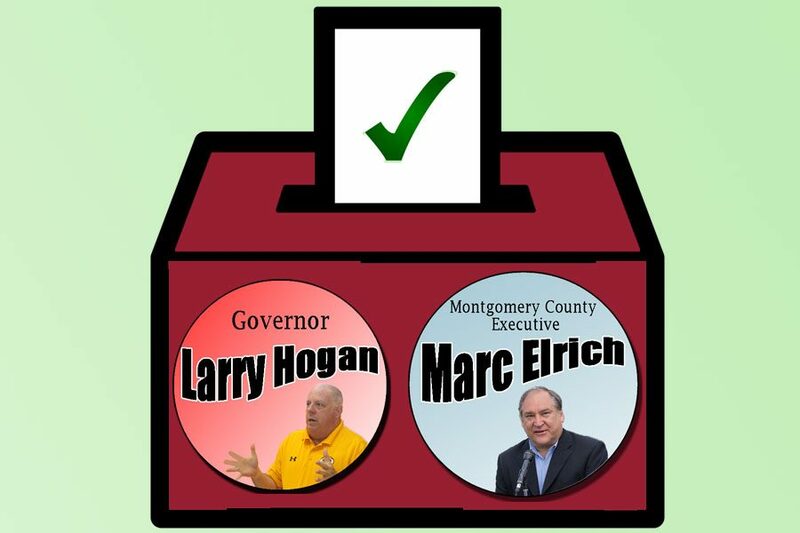 Marc Elrich and Robin Ficker, the Democrat and Republican primary winners, respectively, were the two favored candidates running to assume his position. Elrich won by over 100,000 votes. Elrich has served on the Montgomery County Council for the last 12 years. To secure his bid from the party for county executive, he won a six-way primary in June by 77 votes. Before his career in politics, Elrich was a teacher in Montgomery County for 17 years, so one of his biggest priorities in office will be closing the opportunity gap which is the gap between students of different races and socioeconomic statuses. Elrich believes the best way to do this is to significantly expand early childhood education, according to his website. Ficker has been running for public offices since 1972, serving in the Maryland House of Delegates from 1972-78. He has not won an election for any public office since, and has ran over 15 unsuccessful campaigns, according to Bethesda Magazine. This has not stopped his political aspirations, as he raised about $250,000 this election cycle. Aside from his political campaigns, he is also well-known throughout the sports world. Ficker was a heckler at Washington Bullets games, causing the NBA to establish the Ficker rule in 1992– which aims to stop fans from heckling players during timeouts. He also used to be running partners with boxing legend Muhammad Ali. One of Ficker’s focuses is helping to solve highway traffic congestion, mainly by endorsing Governor Larry Hogan’s “End Gridlock Plan,” which includes adding more lanes to I-270. Ficker also pushed for a larger percentage of the states’ school construction budget, as well as promising no tax increases for businesses for the next four years. 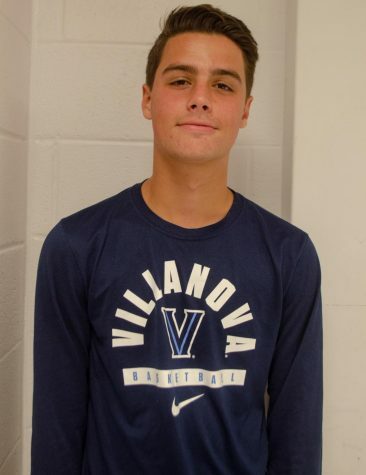 While midterm elections do not typically generate high voter turnout, some high school seniors expressed excitement to be voting for the first time. Elrich won the race, winning approximately 225,900 of the 351,000 votes cast, according to a Nov. 7 WTOP article. For the first time ever, the Montgomery County Board of Education will consist of all- female members after this midterm election. The board’s former president, Michael Durso, was the only male on the board, and after serving as president for nine years he did not run for re-election. There were seven female candidates running for the four open spots on the board. Historically, there has been 49 males and 30 females on the board since its inception in 1953. Despite lacking diversity, an all- female board should not affect the way it operates. Brenda Wolff, Pat O’Neil, Judy Docca and Karla Silvestre won seats onto the board, with Wolff replacing Michael Durso as president.